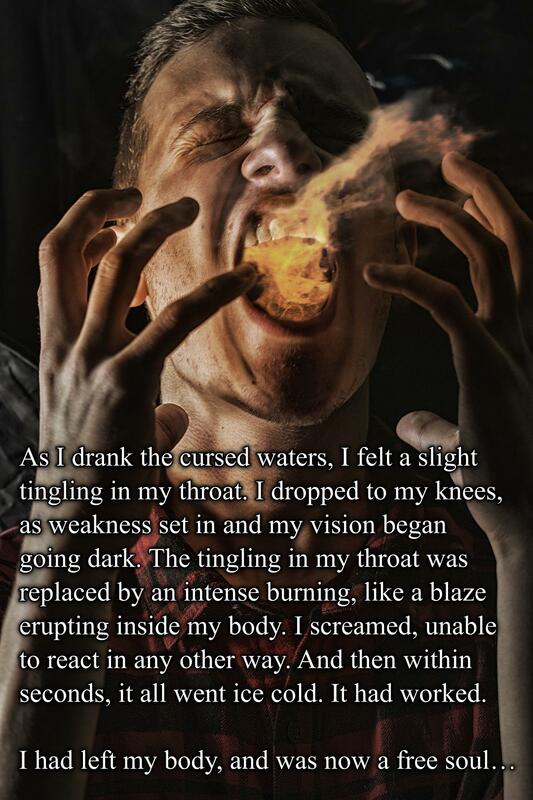 As I drank the cursed waters, I felt a slight tingling in my throat. I dropped to my knees, as weakness set in and my vision began going dark. The tingling in my throat was replaced by an intense burning, like a blaze erupting inside my body. I screamed, unable to react in any other way. And then within seconds, it all went ice cold. It had worked. Congratulations! Now you’re in the running for the 2019 AETHEREAL ENGINEER WRITER SUPPORT PRIZE PACKAGE! How might he, or possibly you, perchance win such fabled treasure as this? Take a look at my weekly Aether Prompts and find out! Woah! I hadn’t seen this one. This was really good. I didn’t think of an outer-body experience! On the scary side, but Id love to know what happened next!